Suzanne Geyer, Account Executive with Alta Management Services, currently serves as the Executive Director of the Mid-Atlantic Construction Safety Council (MACSC) and Associate Executive Director of the Greater Philadelphia Hotel Association (GPHA). Suzanne develops and maintains partnerships with members, vendors, and community organizations. She manages special events and meetings in the form of site selection, contract negotiation, budgeting, marketing, and sponsorship and partnership development. She is also adept at trade show/exhibit management, membership recruitment and retention, board relations, accounting, and travel and accommodation coordination. Suzanne is very involved in the Philadelphia business community, serving on several hospitality boards including, Co-founder of Women in Hospitality Philadelphia, Chair of PHLDiversity’s Education Committee, Community College of Philadelphia Advisory Board Member, Delaware County Community College Advisory Board Member, Walnut Hill College Advisory Board Member, Philadelphia Hospitality Inc. Board Member, Toastmasters International Member. Suzanne is a graduate of Community College of Philadelphia with an Associate’s degree in Hotel & Restaurant Management. She resides in Philadelphia, Pennsylvania with her husband. Kristine A. Kiphorn, CAE, Account Executive with Alta Management Services, currently serves as the Executive Director of the Building Owners & Managers Association of Philadelphia (BOMA). Under Kristine’s guidance since 2012, BOMA has seen tremendous growth in member engagement, programming, events and overall participation, with membership increasing by nearly 70%. Before joining Alta, Kristine spent a decade in Philadelphia area non-profit management, working in communications, special events, marketing and development. She is a graduate of Penn State University with a degree in Journalism, and received her CAE (Certified Association Executive) designation in 2017. Kristine resides in South Jersey and is an avid baseball fan. She enjoys spending time at the beach, where she grew up as a year-round resident. Mary Grill, CPM, ARM is our IREM Account Executive. She serves as Executive Director of three chapters of the Institute of Real Estate Management - Southern New Jersey, New Jersey, and Delaware Valley. Mary has a passion for property management and was an active member of IREM, prior to becoming Executive Director. She now works to increase member engagement, create top-notch events and programming, and support the board in the strategic planning for the future of her IREM chapters. Mary’s background is in real estate and property management. She holds two prestigious designations, Certified Property Manager (CPM) and Accredited Residential Manager (ARM). Mary holds a Bachelor of Arts in Finance from Indiana University of Pennsylvania. In her spare time, Mary enjoys spending time with her gentleman friend and their canine companion. Together, they go on canoeing adventures on the Delaware and explore the city. Monica Pauro serves as Executive Director of two chapters of NAHMA, the National Affordable Housing Management Association - New Jersey (JAHMA) and Pennsylvania Delaware (PennDel AHMA). She is responsible for membership recruitment and retention, board relations, event and programming management, and developing and implementing the strategic vision for the future of her associations. Monica's strengths include building relationships, maintaining a positive outlook, and creating organization; all valuable assets in her role with JAHMA and PennDel AHMA. Prior to this role, Monica has had many unique experiences including volunteering at a center for incarcerated teenagers. She brought hip hop music and dance classes to these teenagers, allowing them an opportunity to get out of their cells and interact with their peers in a positive way. During this time, Monica learned to appreciate opportunities that she had that these kids may not have known, and the value of freedom. Monica holds a Bachelor's Degree from Stockton University. In her spare time she enjoys playing soccer, doing creative projects at home, and spending time with her family. Monica currently resides in South Jersey. Joshua Rueckheim is Finance Director for the Philadelphia Hospitality Investment Levy (PHiL). In this role, Joshua facilitates PHiL grant applications and payments, oversees the collection and remittance of PHiL assessments due, maintains PHiL books and controls, and forecasts PHiL fund balances. Before joining Alta, Joshua worked for Marriott International for 10 years in various finance and accounting roles. Joshua holds a BA in International Business and Economics from SUNY Brockport, an MBA from Simon Business School University of Rochester, and a certificate in Hotel Real Estate Investments and Asset Management from Cornell University. In his free time, Joshua enjoys spending time with his family, traveling, and surfing year round. 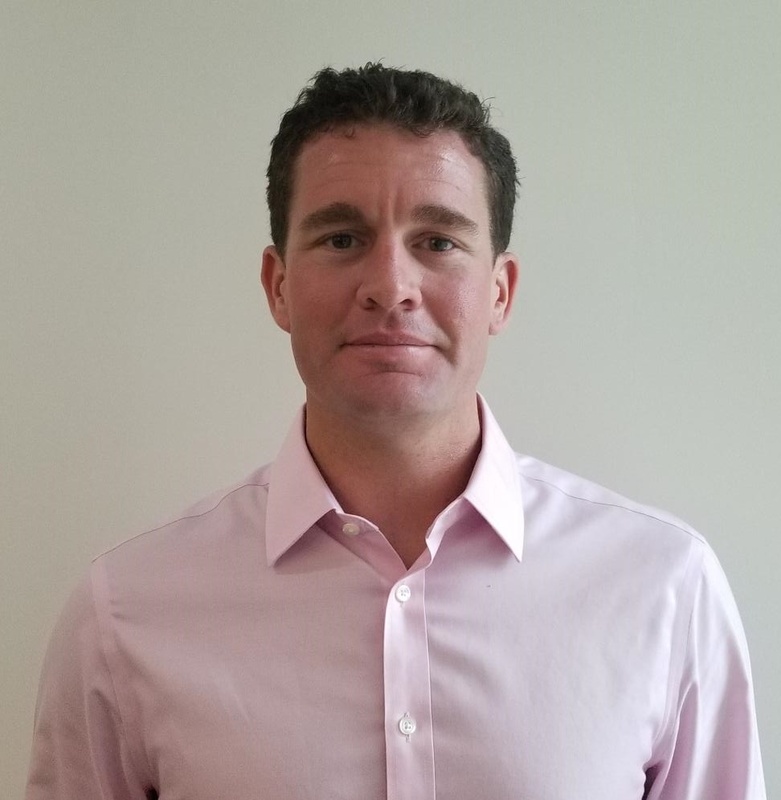 Chris Reich is the Finance Manager for Building Owners and Managers Association of Philadelphia, Greater Philadelphia Hotel Association and Mid-Atlantic Construction Safety Council. He began working with Alta Management Services, and specifically with BOMA Philadelphia, in 2013 as a part-time employee and transitioned into his current role after taking over the accounts receivable for BOMA Philadelphia. A 2012 graduate of Fordham University, in the Bronx, NY, Chris majored in economics with a minor in political science. While working for Alta, Chris also rows on historic Boathouse Row, with aspirations of making the US National Team. He is a member of the Executive Committee for Pennsylvania Athletic Club. Cynthia Lee is the Membership & Communications Manager with Building Owners’ and Managers’ Association (BOMA) Philadelphia. Cynthia has expansive knowledge and expertise in digital and print marketing, organizational management, hospitality, and client relations. In her current role, Cynthia is responsible for the research and implementation of the company’s strategic communications plan that includes the creation and management of the website, social media platforms, and content marketing. Cynthia has directed numerous high profile events with tremendous success including the 2016 Democratic National Convention. She has aptly enhanced her skillset in strategic planning, outreach communications, and project management to foster business relationships and community development. Cynthia evokes the idea of collaboration and diversity inclusion in her personal and professional development. She dedicates her time through volunteer and board involvement. She currently serves as Vice President on the Board of Managers for The Associated Alumni of Central High School (AACHS); board member of the Center City Proprietors Association (CCPA); and The Chamber of Commerce for Greater Philadelphia and serves on its Young Professionals Council (YPC). Cynthia graduated from Central High School of Philadelphia (263) holding a Bachelor of Arts degree—the only high school in the United States that has the authority to grant this distinction—and the University of Delaware with a Bachelor of Science degree in Marketing and Management. Cynthia enjoys traveling and spending time with her family and friends who live all over the United States and around the world. She is an avid tennis player and enjoys coaching youth and novice players. She resides in Philadelphia with her husband. Laura Spataro is responsible for designing event flyers, managing websites, and much more for IREM Delaware Valley, IREM Southern New Jersey, IREM New Jersey, JAHMA, and PennDel AHMA. She began working with these associations in 2007 after having spent two years in residential apartment management. Laura graduated from Stockton College of NJ in 2005 with a Bachelor’s Degree in Business Management. Laura lives in Riverton, NJ with her husband and two small children. The whole family can often be found taking evening walks together down the river. Zoey Toy, our Operations Manager, is responsible for managing the day-to-day operations of the Alta office and staff and works on business development. In addition, she provides support to our Client/Partners, including meeting and event planning, communications, government affairs, member services, financial administration, and social media management. Prior to joining Alta, Zoey worked at an event production company, planning events of all shapes and sizes including meetings, conferences, concerts, and entertainment events. Zoey is on the Professional Development Committee of the Young Professionals Council of the Chamber of Commerce for Greater Philadelphia and is a co-founder of the young friends of the Painted Bride Art Center. She is a graduate of University of Pennsylvania with a Bachelor’s in Communication and Sociology. Zoey lives in the Fishtown neighborhood of Philadelphia with her boyfriend and their cat.